I have 3 cups of crushed red pepper in my pantry. We have had such amazing production the last few years from our pepper plants that I’ve not only made my own crushed red pepper, but I’ve also made my own chili oil (and I’ll show you that soon). I will absolutely guaran-darn-tee you – once you do either yourself, you will never ever ever go back to the orange sawdust on the spice aisle again. In addition to the crushed-red-peppering of everything, we also go through a lot of steam-in-bag broccoli. It’s quick, easy, and checks the “something green” box on the dinner menu. Because let’s be real: sometimes there’s just no reason to raise the bar on a busy weeknight veggie side. And considering I often also eat broccoli for breakfast (don’t judge), there’s no reason to raise the bar on a busy school-morning breakfast either. But if you’ve got a few extra minutes, there are many, many things you can do to a head of broccoli that will beat the freezer bag. A simple roast with some oil, salt, pepper, and a squeeze of lemon is the easiest. And if you’ve got time for a simple roast, chances are you’ve got an extra 67 seconds to zest an orange and grab the chili oil from the pantry. 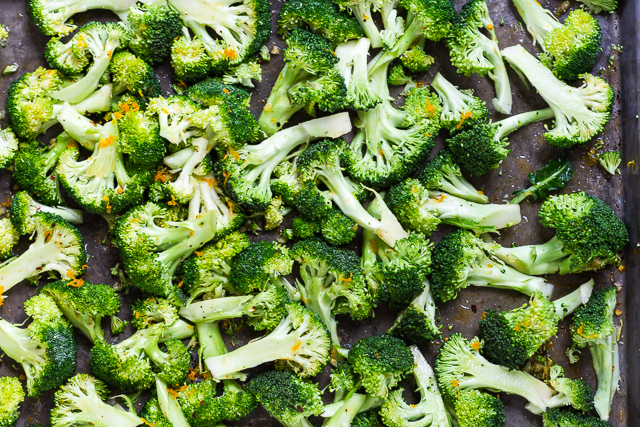 These broccoli florets were coated with olive, sesame, chili oil, orange zest, and a squeeze of orange juice. The chili oil only lends mild heat to the broccoli so if you aren’t cooking for a 5-year-old like I do, then double the chili oil. 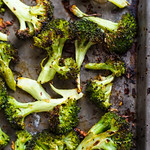 Broccoli florets roasted with orange zest and chili oil. 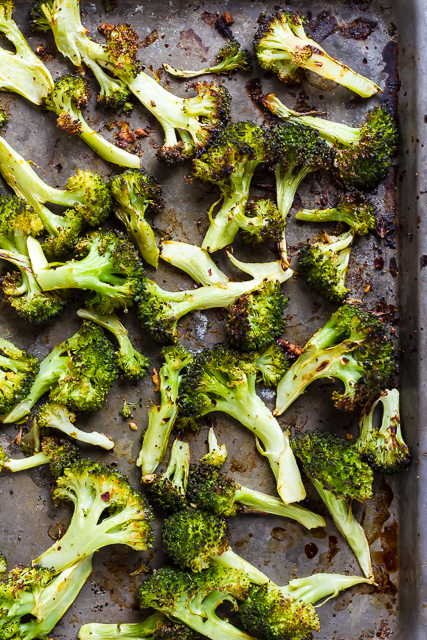 Place the broccoli on the baking pan. Drizzle the oils, garlic, and orange zest over top and then toss to evenly distribute everything - I use my hands and just roll things around until I'm happy. Season with a generous pinch of salt, several grinds of black pepper, and then squeeze half the orange wedges over top. Roast for 8-10 minutes, toss/flip, and then roast for another 5 minutes. Squeeze remaining orange wedges over top and enjoy. What a great way to jazz up broccoli! 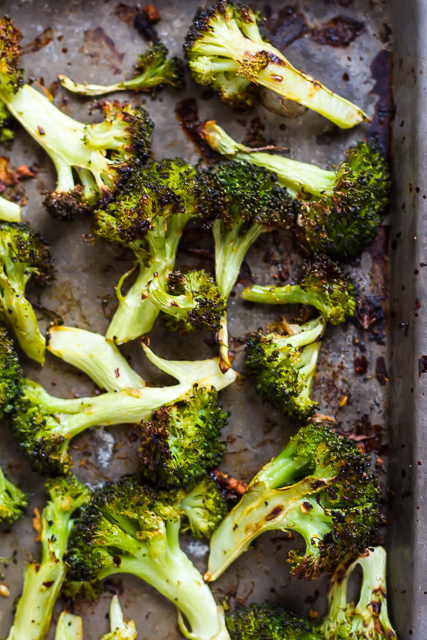 I’m not above eating freezer broccoli, but roasted fresh broccoli will always be my favorite! Love the citrus and spice here!